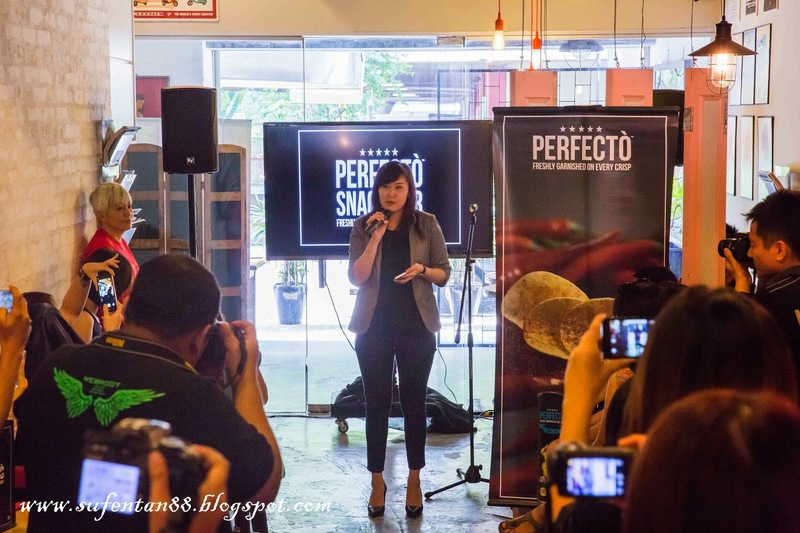 Last Sunday, I was invited by HungryGoWhere Malaysia to attend the launching of Perfecto Café at Frickles cafe. 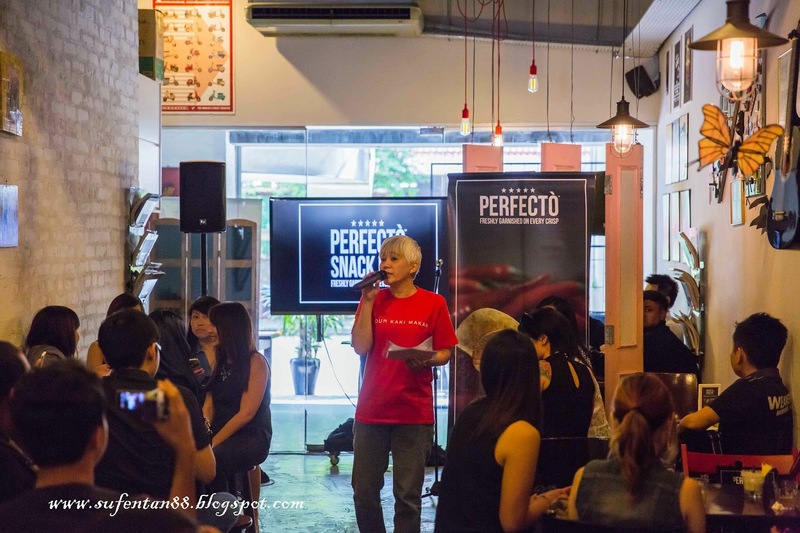 Mamee Double-Decker is bringing Perfecto into different market by selecting a few cafes to kick start their Perfecto Snack Bar for one month from 13th Dec 2014- 9th Jan 2015. 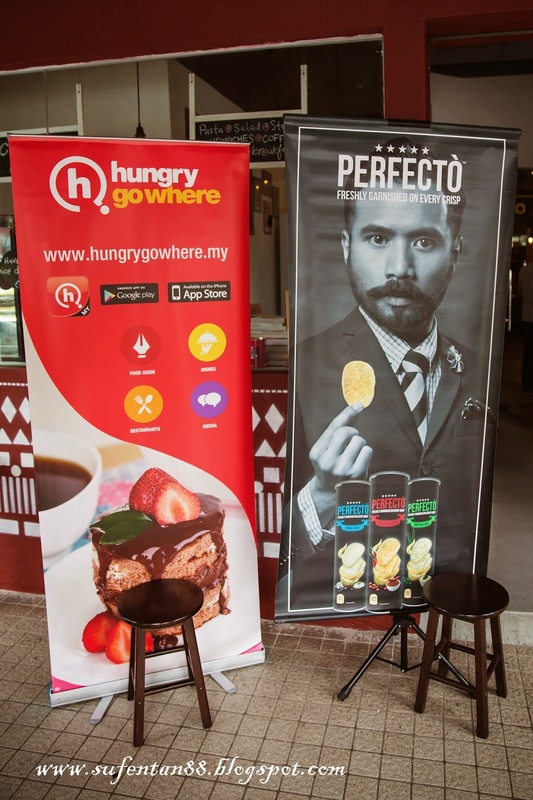 Fans can now enjoy the Perfecto crisps not just at home but in the cafe with friends along with a cup of nice coffee. Perfecto- freshly garnished on every crisps is comes with 3 flavours – natural sea salt, sour cream and chives, chilli and spice infusion. 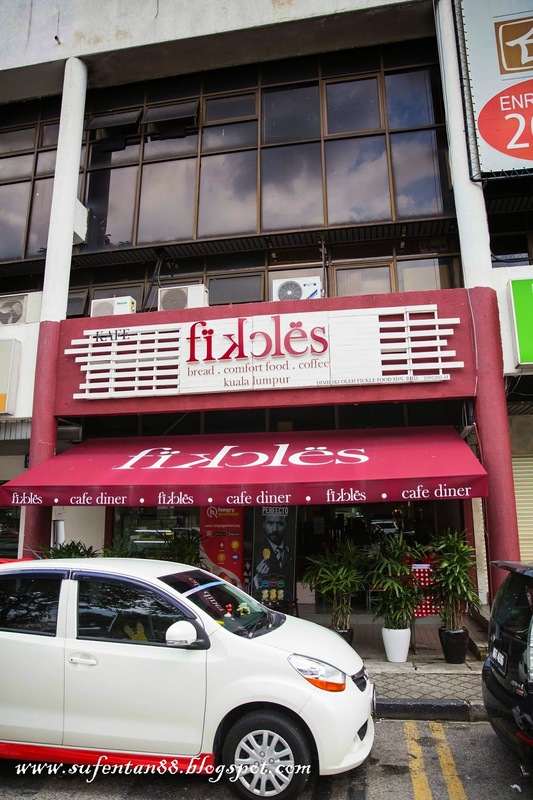 Fickles cafe was one of the selected Perfecto cafe and it is located at TTDI, same row as Bank Islam. Step 1: Choose your choice of crisps-natural sea salt, sour cream and chives or chilli and spice infusion. Step 2: Garnish your crisps with sweetcorn, slices mushrooms, parmesan cheese powder, parsley flakes or chilli flakes. 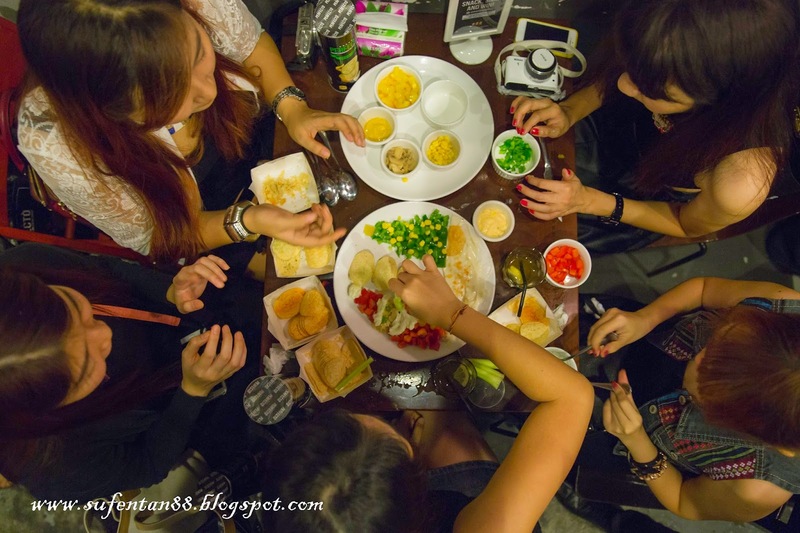 Step 3: Dip your crisps with cheese sauce, mustard sauce, mayonnaise or salsa. 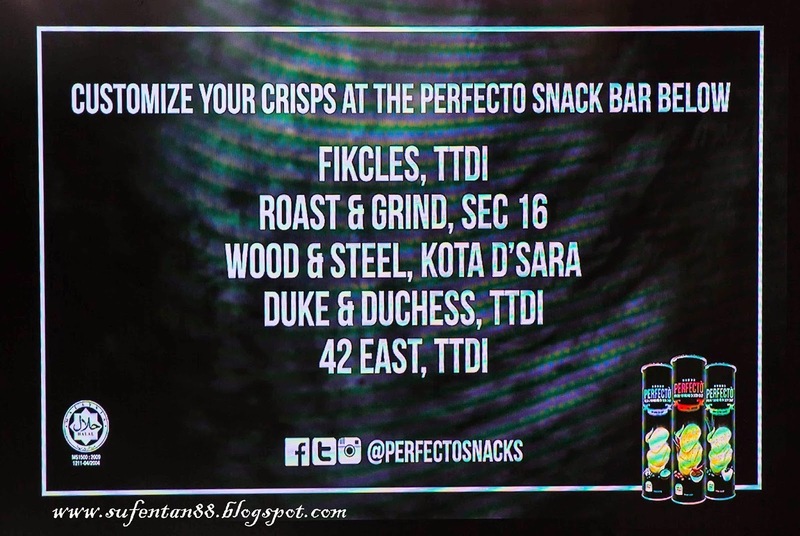 The bar make it easy for everyone to access and customise your own crisps. Our MC of the day. 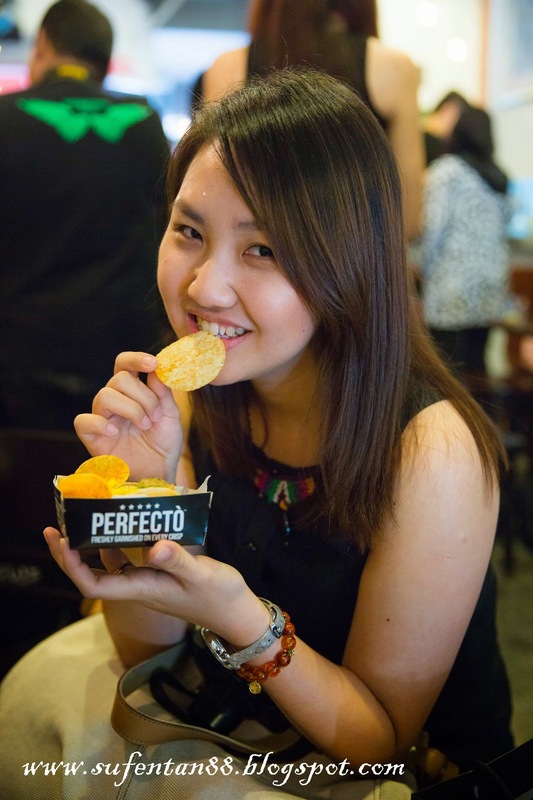 My first customised Perfecto Crisps! Yummy! 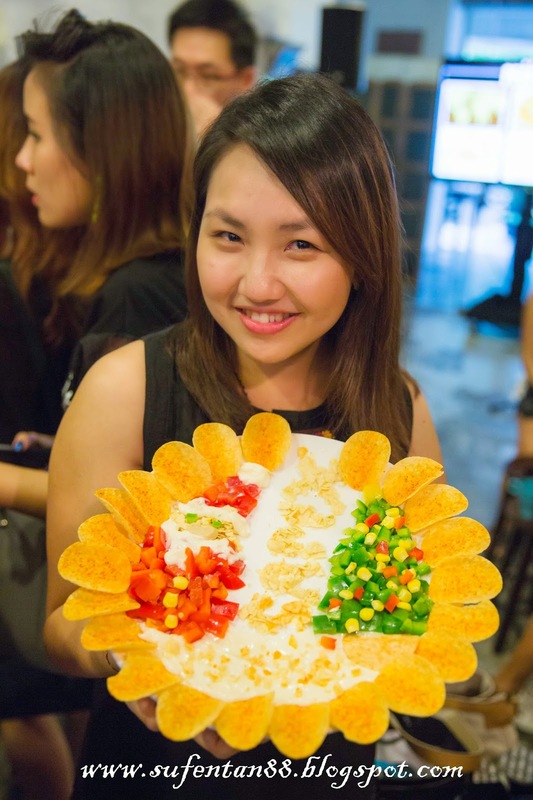 There are some games carried out during the event, one of it was the Chip Art. 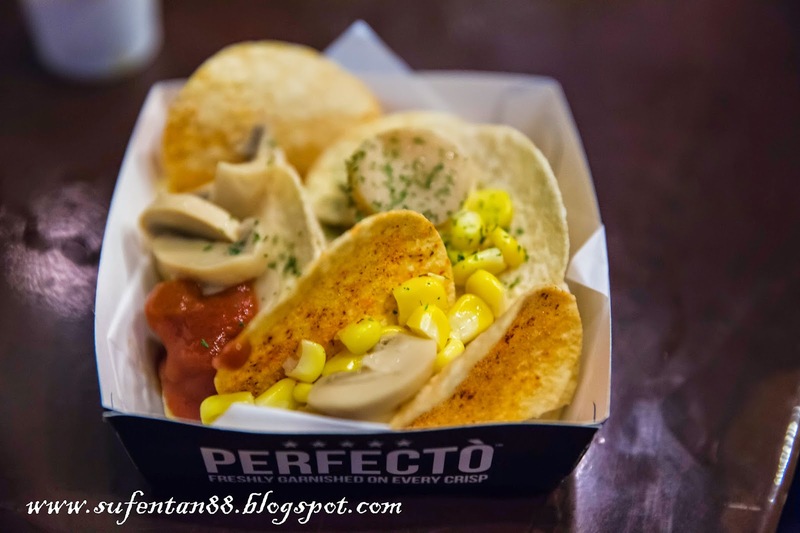 We were given some fresh ingredients and Perfecto crips to create the most creative and beautiful chip art. Our process of making our "Perfecto Christmas" chip art. We managed to use most of the ingredients and crisps to create a Santa Claus and a Christmas trees. 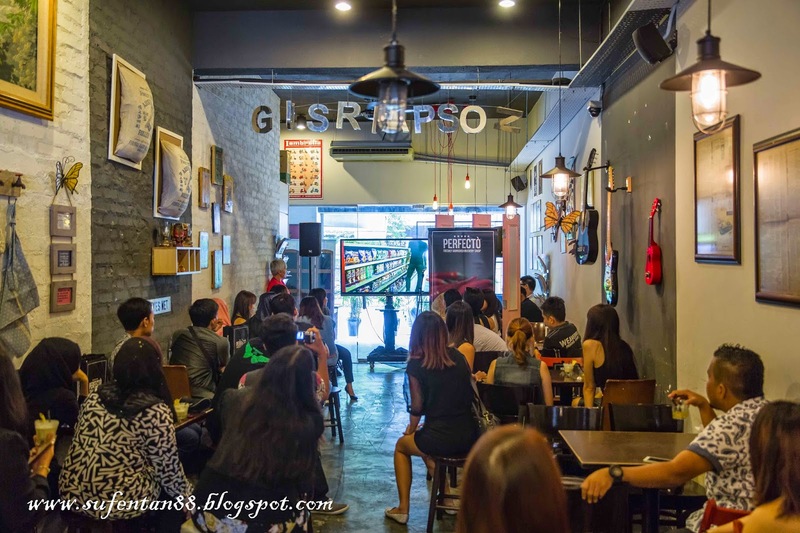 Bravo to the ladies for the great idea! That's right! 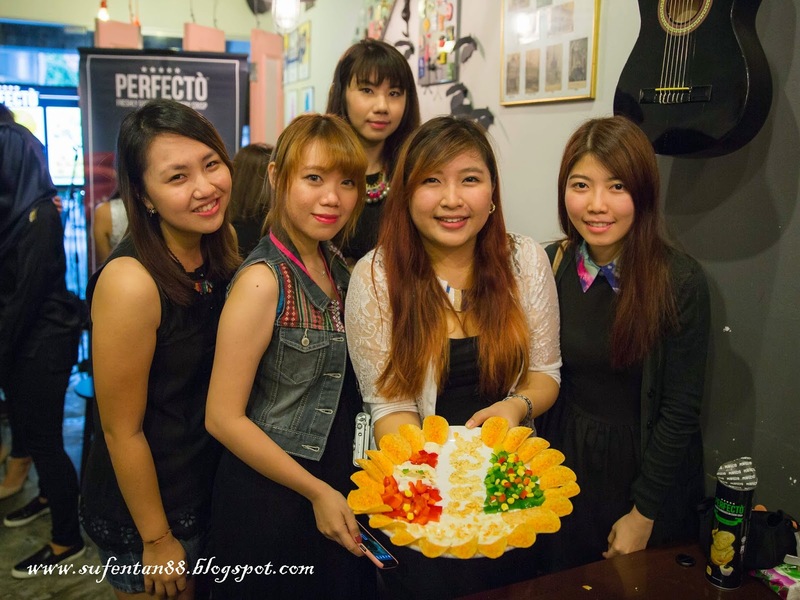 Our Perfecto Christmas was the winner! 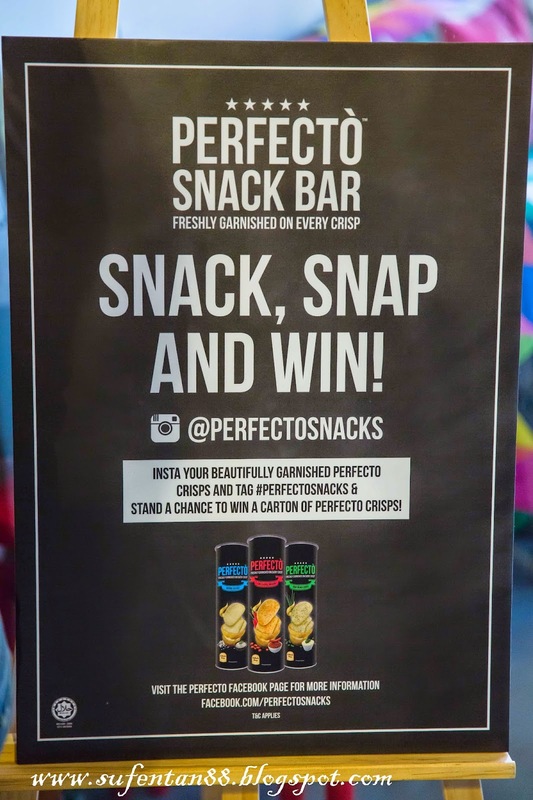 You can even won yourself a Carton of Perfecto Crisps for FREE, just by instagram your most creative garnished Perfecto crisps and tag #Perfectosnacks from the 5 selected outlets!